My neighbour asked me for advice: Copying photos from SD card to his notebook failed because of a full harddisk. He mentioned that some photos might be double and both on the notebook and the external harddisk. I've investigated a bit and found two Windows installations (one stems from a backup) with several user accounts. And photos and videos were double, triple, and some of them even five times on the computer and the external harddisk. Time to use a duplicate finder! I've downloaded four duplicate finders (Auslogics Duplicate File Finder, Mindgems Fast Duplicate File Finder, CloneSpy, and one more) and the one I liked best and worked best for me was Anti-Twin. Anti-Twin has a pretty clean and clear user-interface. Search can be performed byte-by-byte, pixelwise, or on name and size basis, only. 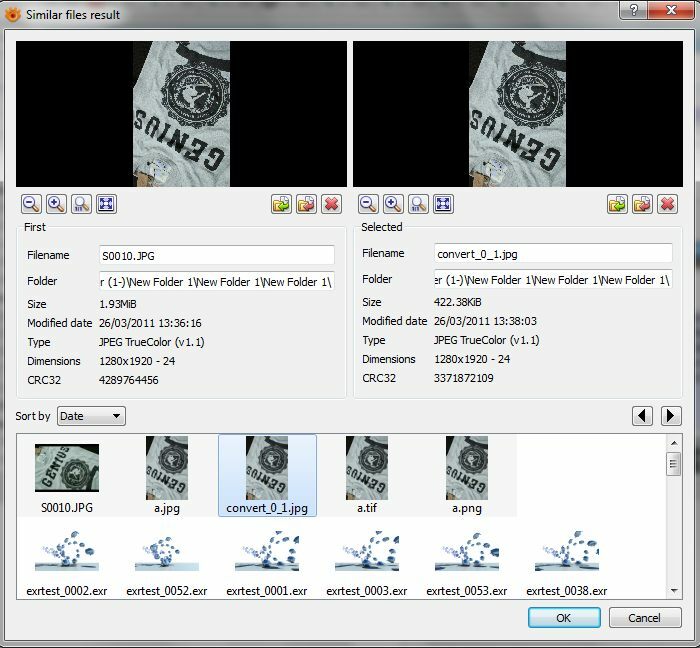 Anti-Twin offers a clever way to select duplicate files by folders or filename criteria. The perfomed duplicate searches took quite a while (several searches with a duration of roughly 2 hours. Please note that this is not a problem of the software but a problem of the amount of files and data that have to be read and compared). In the end 45 GB(!) and about 8.000 duplicate files were found in several runs and cleaned. For duplicate images, I only use Visipics too, it's a great finder by similarity. You can set the degree of "likeness".